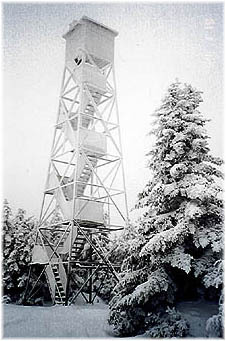 In the first half of the 20th century, observers stationed in fire towers across the Catskill Mountains scanned the region looking for signs of forest fires. Today, more remote methods are used to detect fires. But five fire towers remain standing--their 360-degree views of the Catskill Mountains and beyond still unparalleled--and they now serve as popular destinations for hikers. To help visitors find their way to the fire towers and understand their history, the New York-New Jersey Trail Conference, working with the Catskill Fire Tower Project, has developed a trail map and brochure for each of the fire towers. Hardworking volunteer groups, together with the New York State Department of Environmental Conservation and nonprofit organizations including the Catskill Center and the Trail Conference, completed restoration of the five towers in 2011 and continue to maintain them and associated observers' cabins. Each summer, thousands of people from all over the world visit the fire towers to enjoy the beauty and splendor of the Catskill Mountains. Volunteer interpreters welcome these visitors, sharing the history and lore of the fire towers and of the Catskill Mountains. The map brochures produced by the Trail Conference are distributed by volunteers at the fire towers and by local business and organizations in the surrounding communities. Each brochure includes a map of the area surrounding the fire tower and a description of the most direct hike to the fire tower. They are available on our website for free download, in both black-and-white and color versions, by clicking on the links below. The fire towers are also shown on our more detailed, high quality Catskill Trails map set, which is the most up-to-date and accurate trail map of the Catskill Park available. This six-map set features trails in and around the Catskill Park in Greene, Ulster, Delaware and Sullivan Counties of New York, covering more than 325,000 acres of protected land. More than 400 miles of marked trails are shown on the map set, which is printed in color, shows elevation contours, and is waterproof and tear-resistant. Click Catskill Trails map set to learn more about these maps and to purchase, or on the links below to download free map brochures. Visit our Mobile Maps guide to download our Fire Tower maps directly to your smartphone and tablet through the PDFMaps app. For more information on how to obtain the app and start downloading our maps to your mobile devices, . 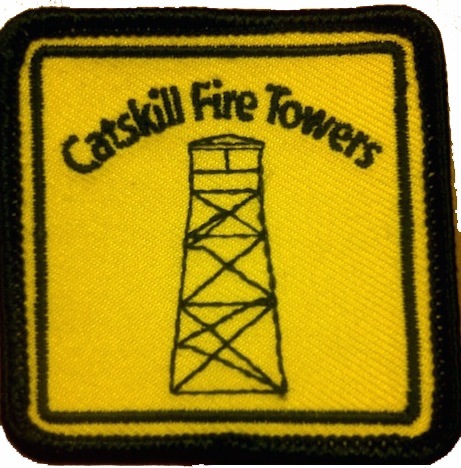 You can earn a Catskill Fire Towers Badge with the Catskill Fire Tower Passport Program! Just hike one (or more) of the Catskills' fire towers between May 10 and October 12, 2015, then log your hike on Morgan Outdoors Fire Tower Passport, which is available at Morgan Outdoors in Livingston Manor at 46 Main Street or you can download it here right now and get started on your Fire Tower climbs! Turn in your completed passport at Morgan Outdoors by October 12th and collect your badge. You will also be entered in a drawing to win select prizes, which includes a handy pair of Nikon Travelite Binoculars. The Catskill Fire Tower Passport Program is sponsored by Morgan Outdoors and the Watershed Post with support from the New York-New Jersey Trail Conference. Donations to our Catskill Trail program support efforts like production of these brochures and maps for the Catskills Park's Fire Towers. In the Catskill Mountains, New York-New Jersey Trail Conference volunteers and member organizations maintain 29 lean-tos and over 200 miles of trails, including many of the trails to the fire towers. Our staff supports volunteers and visitors in the region and we provide materials, training and supplies for our crews and volunteers in addition to publishing high-quality maps, books and brochures that provide people with information they need to responsibly access and enjoy open space. If you would like to help the Trail Conference continue our work in the Catskill Mountains, please consider supporting our Programs in the region by donating to the Trail Conference. Your donation will be put to work throughout the Catskill Mountains and Catskill Park.